Brinjal is one veggie which not many people like, but they don't know what they are missing out on. 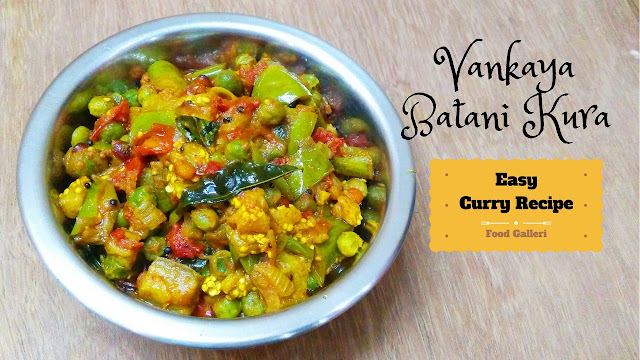 There are quite a few delicious recipes made with brinjal like gutti vankaya kura, baingan ka bharta, aloo baingan sabzi, noone vankaya koora, vankaya pachadi, beguni, begun bhaja, vankaya pulla kura or pullagura. I am sharing here one such tasty recipe - Vankaya Pachi Batani Kura. 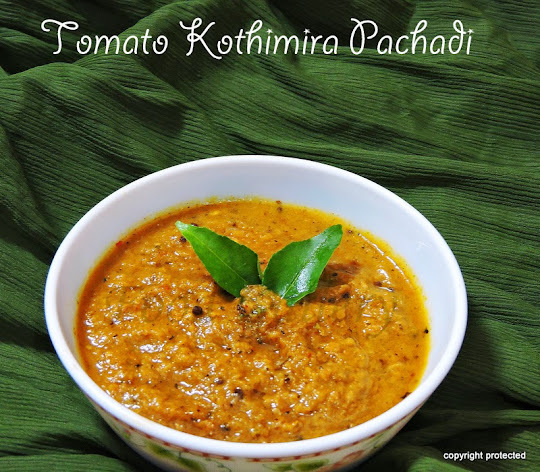 It is a simple, delicious and flavorful curry that goes very well with plain hot rice and rotis. Heat oil in a kadai and add mustard seeds. Once they start to splutter, add the channa dal and let it fry until it turns light brown. Add onions and saute till they turn translucent. Then add tomatoes and cook until the tomatoes turn soft. Add the brinjals and mix well, close with a lid and let them cook on medium flame for about 3-4 mins. Next add in the green peas, ginger paste, turmeric, coriander powder, chilli powder and salt and mix everything well, close with a lid and let them cook on low flame for about 5-6 mins. Keep stirring in between so that the veggies do not stick to the bottom of the kadai. Adjust salt if required and check if the veggies are cooked and remove from fire. Brinjal and peas curry is ready to serve. Enjoy it with steamed rice or rotis.